Pictures and EcoBaguette Bread Bags review product provided by Green City Living. Green City Living is at it again. Inventing new items to make our lives more green! You remember my review post for their reusable sandwich snack bags. These are my fav and believe me I’ve used many brands! The unpaper cloth towels and bacon sponge too. We use them daily at my house. 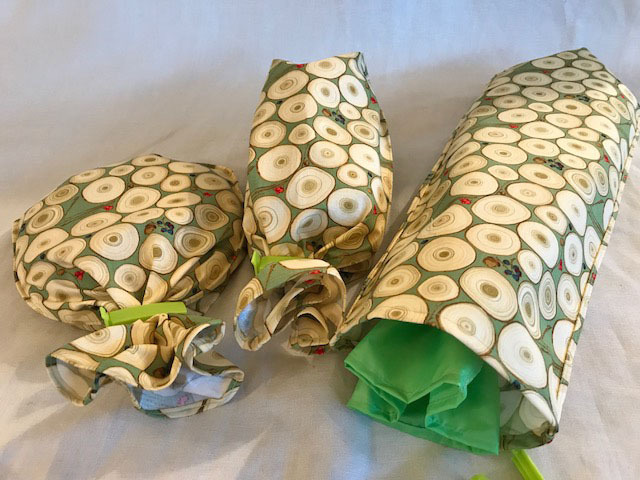 Introducing EcoBaguette Bread Bags – now on Kickstarter! Do you buy fresh bakery bread? Do you hate those plastic bags they come in? Let me tell you a story. Whole Foods makes one of favorite treats. It’s a green chili cheddar bread that is crispy on the outside and chewy on the inside and has the best flavor! Even my picky kids devour it. We love when we go in and can get it warm out of the oven. But guess what? They put it in a plastic bag. Warm food and plastic just don’t mix. Even if bread is not warm, I don’t love storing it in their plastic sack. If we don’t eat it within that day, it doesn’t taste good anymore. EcoBaguette Bread Bags keep your bakery items fresh! First, a lightweight liner is used, composed of food safe & laminated nylon fabric. By itself, the liner will help for up to three days. Second comes the heavier bread sleeve made of polyurethane laminated cotton. You get to choose from a variety of fun print patterns! The laminate is free of BPA, Phthalates, lead & PVC. The coating on the inside prevents drying. Your bread now will stay yummy for 5-7 days. Third, for even longer freshness, place a terra cotta stone inside the bag and keep it in the fridge. The stone is included with all sleeve purchases! Reuse, Reuse, Reuse. That is idea, right? Fresh bread and Be Green always! 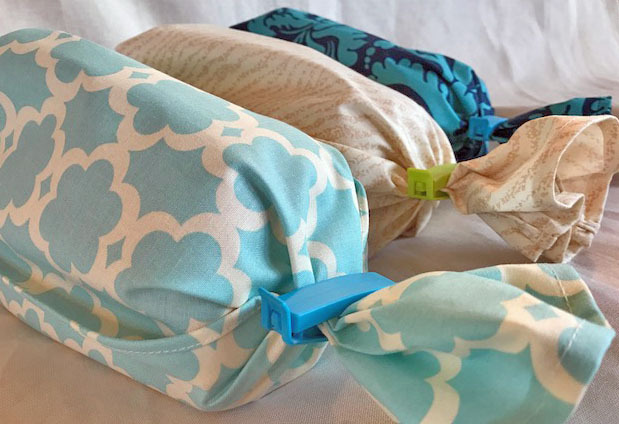 Check out EcoBaguette Bread Bags on Kickstarter today! WIN all 3 EcoBaguette Bread Bag sizes! Green City Living is my cousin and I love showing her off. All opinions my own. This giveaway will end on June 2, 2017 at midnight MST. Winners will be drawn via rafflecopter. Once a winner is drawn I will contact them and they will have 48 hours to reply before I draw a new winner. Giveaway is open to anyone in the US. You must be 18 years of age or older. Giveaway is not affiliated with Facebook & I release them of liability. Winner will be posted in the rafflecopter widget. Good idea for those who make there own breads too! Are the bags washable? if the bread does mold, I would want to make sure it could be washed. Yes, they are fully washable. The outer bag should be air dried to prolong the life of the food safe laminate. I love making fresh bread so these are awesome! My husband bakes bread all the time, and he has been looking for some bread bags. 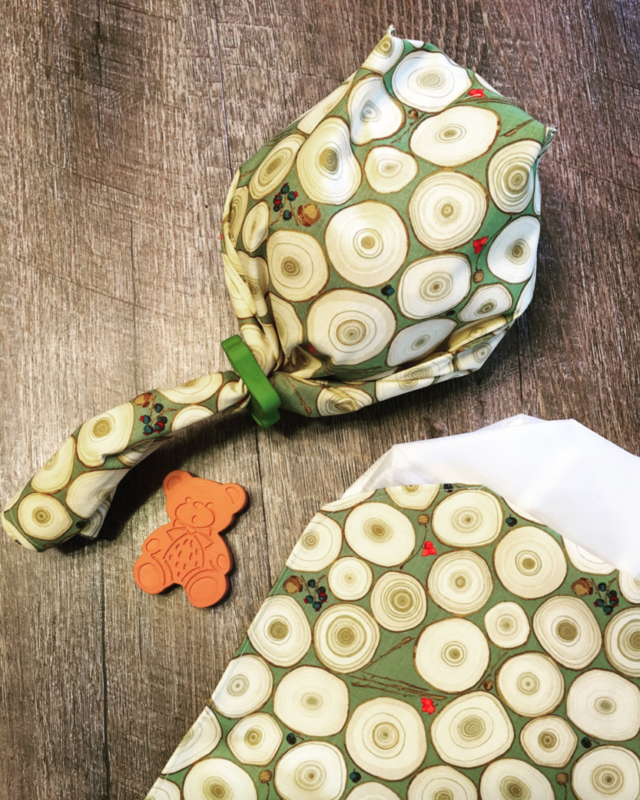 I love these reusable bread bags,I'm a big fan of recycling and reusing and these are also cute and adorable! I would use them everyday! They have a long way to go in a very short time on the Kickstarter. I wish them much success with their great idea! These look so neat! Do the clips come with them too? I hate the bags the store have for french bread. It because stale wait to early. This is a great idea. These are cute and useful products!! It's an interesting concept that I hadn't thought about before. This looks like a great system for keeping bakery bread fresh! I'd love to try these Bags! They look wonderful and would sure help keep our bread fresher longer! What a neat idea. I love these bags! These are so cute - love the fabric choices. They'd make great gifts, too! I'd be so happy if I could get my bread to still be good after 5 days! Interesting product. Thanks for sharing!